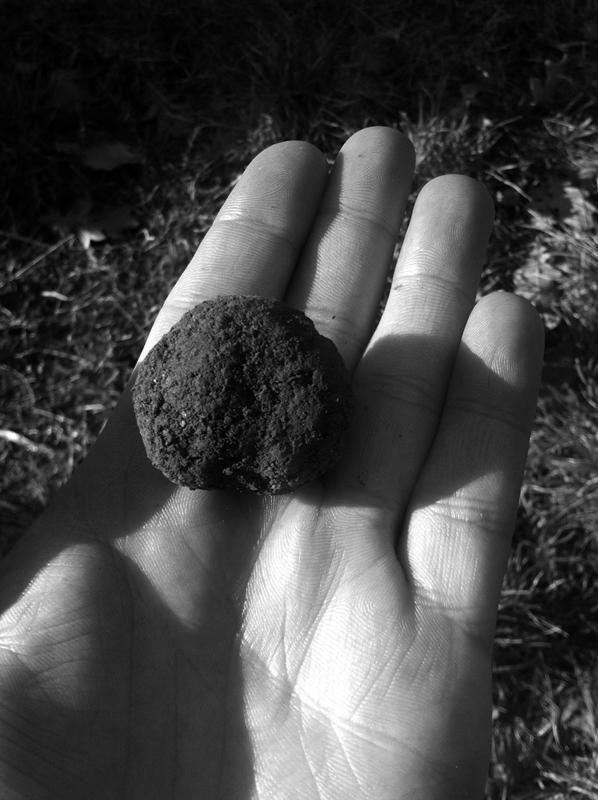 Apparently truffles grow in France because the soil contains a lot of limestone, the summer gets up to around 35 degrees, they have sub-zero weather in the winter and there is very little rain. Sound familiar? And how wonderful it is that Canberrans are so heartily embracing this burgeoning local industry via the Canberra Truffle Festival. From a range of growers throughout the region, Canberra’s restaurants have assembled special menus based around this most pungent of products. 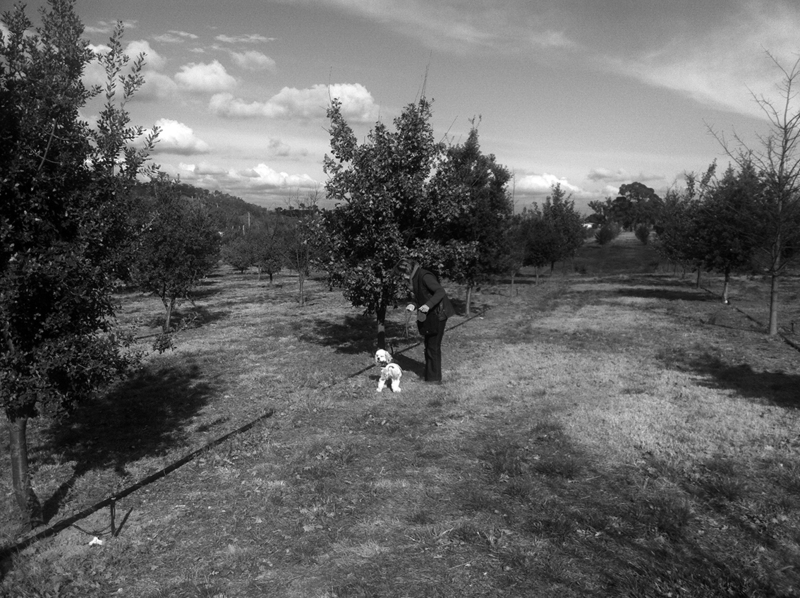 We started a Saturday with a trip out to French Black Truffles of Canberra out on Majura Road. One of the pioneers of the truffle growing in the ACT, Sherry McArdle-Smith has the benefit of almost a decade of blood, sweat and tears invested in developing a product on par with the best of Europe’s more traditional efforts. After a highly informative session to learn of the perfect conditions for growing, as well as the challenges faced by a start-up truffle farming operation in the Southern Hemisphere (The Tasmanians were ahead of the game by a couple of years – but not much! ), it was time to head out into the highly secured and tightly quarantined paddock to see if we couldn’t find a couple of living examples of the local black gold. 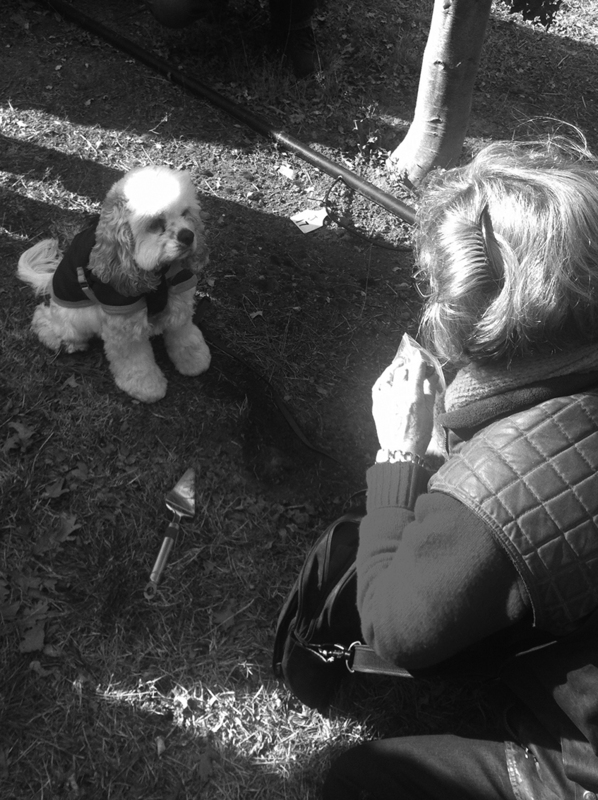 Sherry has a keen sense of smell, but certainly nothing compared to her loyal offsider Tom the spaniel that can pick up the scent of the smallest ripe truffle from over 30 metres away. As we strolled through the field in the warm afternoon sun Tom led the way, following the invisible path to the first find of the day. Interestingly, the truffle is so pungent that by kneeling over the spot identified by Tom we were able to smell the truffle ourselves. Certainly Tom made the process infinitely more efficient, but it was interesting to note how strong the smell was in its natural setting. After a couple of digs – with Tom receiving ample reward for his efforts – it was back to the shed for a bit more of a chat and some deliciously truffled creme brulee. We may have gone home empty-handed, but certainly our bellies were satisfied. So inspired by our experience were we that a trip to the Fyshwick Markets was necessary -it’s one of the few places you can readily buy your own truffle during the season, and many of the outlets are working hard to integrate truffles in with their regular produce (Plonk are matching beers and wines, while the organic butcher has delicious truffle sausages). 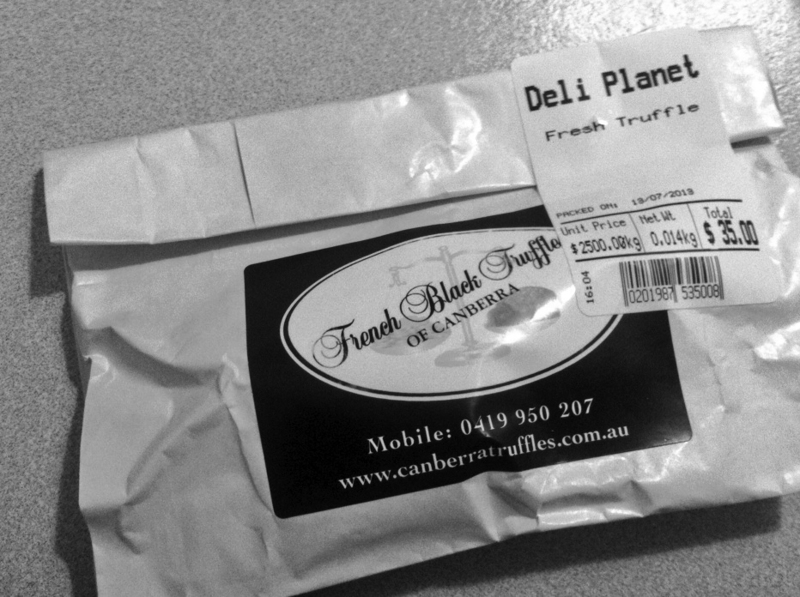 At Deli Planet we found the raw ruffles for sale and, after recovering from minor heart palpitations upon seeing the price ($2,500 per kilo) we went home with 14 grams for the weekend’s cooking. There’s so much on over the coming weeks for the Truffle Festival. We’re off to a dinner or two, as well as experimenting with the truffles in a couple of cooking adventures. 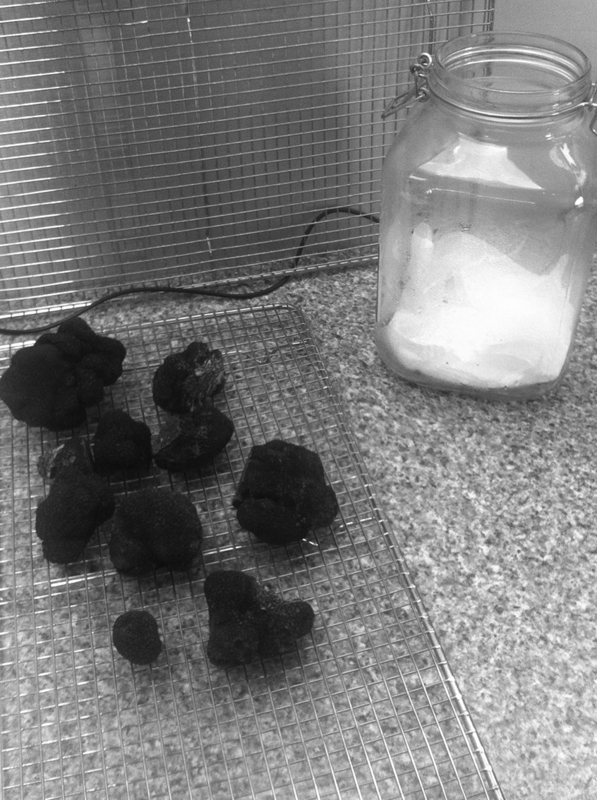 We’ll report back as we do, but in the meantime be sure to get out and try some of the many delicious opportunities during the truffle season. 23 Mt Majura Road, Majura. 14gms, big effort, you should focus on the positives and not just the price, obviously you had to spring for the truffles yourself. Cant wait to read about what you managed to cook. Let me guess, shaved over scrambled eggs i bet.